Graphic saved from Google Earth. Due to my continuing fascination with the Batangueño dialect, I have been doing some readings on Philippine languages over the Internet. My current readings have taken me momentarily away from the subject I have been attempting to research. However, I am also starting to better understand things that were only vaguely familiar to me in the past. Before we go any further, allow me to clarify this myth perpetuated by Social Science books and taught to elementary and high school students all around the country. That is, that the Philippines has Filipino and English as national languages and a great number of dialects spoken around the country. These so-called dialects, in fact, are recognised by linguistic experts as distinct languages, something that my former boss, the late Br. Rafael Donato, loved to point out. The erroneous use of the word dialect in lieu of languages apparently began during the American occupation and was perpetuated by writers of local textbooks. At any rate, because of my readings, I have begun to understand why I have always managed to pick out a word or two that I understand when Visayans talk to each other compared to when northerners such as Ilocanos or Pangasinenses do the same. That said, now I also find more reason to regret that he never found practicality in teaching us Ilonggo in the household because it would apparently have opened doors to other Visayan languages. I used to think that this was due to my late father being Ilonggo – specifically, Karay-a; and more on the matter later – but there is, in fact, a more scholarly reason why. I used to complain to my father that he should have taught us to speak Ilonggo – or Kinaray-a, his native dialect in Tigbauan where he was born and raised – because we had neighbourhood friends in the Air Force base where I grew up who could speak their parents’ languages such as Kapampangan, Ilocano or Pangasinense. Tigbauan is a coastal town about 20 minutes or so from Iloilo City. My father did not see any practical purpose, however; and, in fact, I probably learned more Ilonggo words from the lavandera who came in several times a week. This and the fact that Ilonggos came to the household ever so often led me to believe that Ilonggo was easier to understand from my point of view as a Tagalog born and raised because it was something that I heard often enough inside the household. The truth of the matter as I have just found out through my readings is that my native tongue Tagalog does, in fact, belong to the same language family as many Visayan languages. This language family is called the Central Philippine Languages and includes Bikol, Visayan, Tagalog and Mansakan, which is spoken in the Davao Regions. The northern languages that I have always found completely unintelligible, on the other hand, belong to their own distinct language families. Hence, the Tagalog ‘bigas’ is ‘bugas’ or ‘bogas’ while the ‘atin’ in Tagalog is ‘aton.’ A popular joke asks what the Tagalog version of the Iloilo town Oton is. Wink. My late father used to say that while it was acceptable for us to refer to him as Ilonggo, it was more correct to say that he was Karay-a. Ilonggo, he would say, was actually Hiligaynon, a language spoken primarily in Iloilo City. 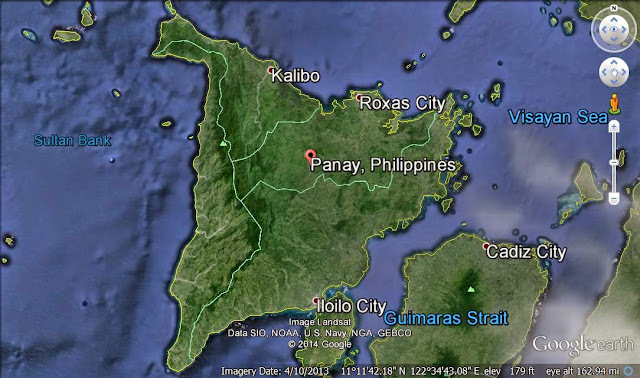 My father, on the other hand, was originally from the Municipality of Tigbauan where they spoke Kinaray-a. This never really used to make sense to me until now. I used to understand it from my father that Kinaray-a was a dialect of Hiligaynon in the same way that Batangueño is a dialect of Tagalog. Apparently, Hiligaynon and Kinaray-a are two distinct languages. The latter is spoken in Capiz, Antique and Iloilo Province. Speakers of Kinaray-a are supposed to be able to understand and converse in Hiligaynon; but apparently the reverse is not necessarily true. The suggestion is that those who speak Kinaray-a are actually bilingual in the way that they are able to understand and carry on conversations in both languages, something that not all Hiligaynons apparently do not share. One last thing that I used to remember from my father was his claim that, although he spoke both Hiligaynon and Karay-a, he could also understand Cebuano. The languages were similar, he used to say; but the main difference was that Cebuanos prefer to shorten or contract words in contrast to the Ilonggos. This is apparently erroneous because Bisayâ is a large language sub-family that includes, among others, Hilgaynon, Kinaray-a, Waray-Waray, Masbateño, Cebuano, Boholano, Romblomanon and many, many others. Because they do belong to the same sub-family, the similarities make it easy enough for speakers of one language to converse with the others. Now I admire my late father even more because he was apparently more multi-lingual than just the Tagalog and English he added to his native Kinaray-a. That said, now I also find more reason to regret that he never found practicality in teaching us Ilonggo in the household because it would apparently have opened doors to other Visayan languages. Acknowledgment: Language information from Wikipedia.